Now she is a Faery whom can blend into her background like a lizard! Also it hides the horrid colours of her wings! 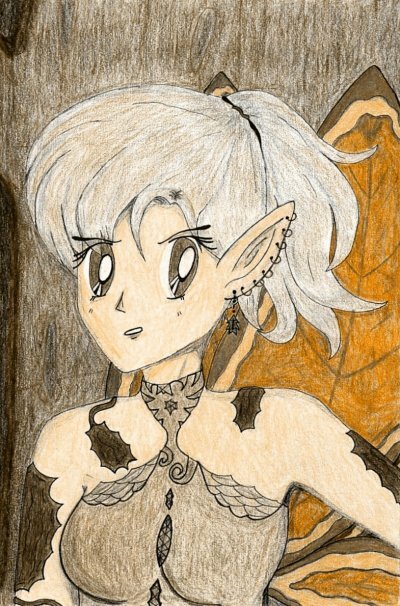 In the final version of this pic on my Elfwood Gallery I took her normal body and put it together with these wings.